Happy Autumn everyone! The weather has definitely cooled down and the chillier temperatures bring all new skin challenges. We are no longer fighting the heat and the humidity, but we now have to be aware of how the cooler air affects our skin. 1. Moisture - The cooler weather strips the moisture from your skin so it’s essential that you remember to moisturise and not just your face, but your whole body. You may also need to find a richer moisturiser such as the Proactiv+ Complexion Perfecting Hydrator, rather than the water based one that you may have been using over Summer. 2. Use a moisturising body wash - If you are using soap in the shower it’s time to stop! 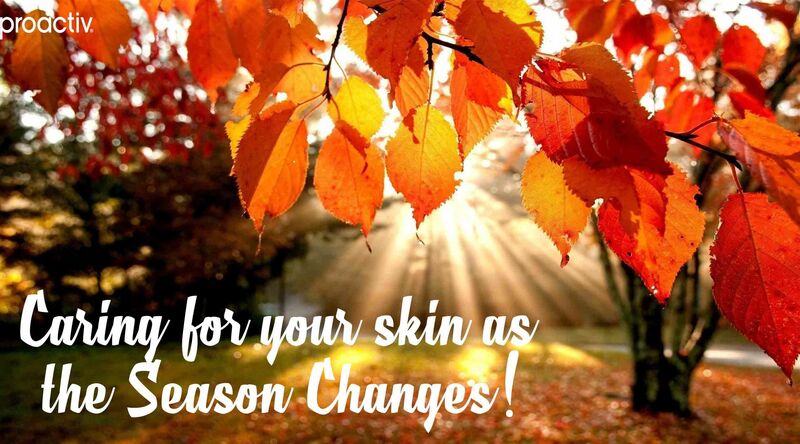 It dries out your skin and can lead to breakouts, especially in the cooler weather. Our Proactiv+ Cleansing Bar is perfect for the cooler weather because of its soap-free formula and gentle cleansing agent derived from coconut oil to keep your skin feeling hydrated. 3. Protect your lips - To save yourself from dry, chapped lips, make sure you start using a non-petroleum based lip balm in the lead up to winter. Our lips are always exposed to the cold air so it’s important to take care of them. 4. Invest in a good hand cream - It’s not just our lips that are constantly exposed to the cold, so are our hands. To keep your hands from cracking and drying out you should invest in a good quality hand cream. 5. Exfoliate - The cold weather dries out our skin so it’s important to exfoliate to remove the dry, dead skin and keep our skin healthy and clear. For your face, our Proactiv+ Skin Smoothing Exfoliator is perfect. For your body, use a loofah and an oil based scrub to keep your skin smooth and hydrated. Well, we hope you feel ready for Autumn now! Next week we bring you the quotes that get the Proactiv team motivated.